Michael Beya recounts his meeting with Hanif Bhamjee, founder of the Wales Anti-Apartheid Movement. Upon my arrival at the Temple of Peace where the Welsh Centre for International Affairs (WCIA) is based, I began researching the Anti-Apartheid Movement in Wales. In the early 1960s people globally were becoming much more aware of the Anti-Apartheid Movement (often shortened to ‘AAM’). By this time apartheid was reaching its peak. AAM campaigners were grabbing opportunities to abolish apartheid using all means possible, including the involvement of schools, churches, political groups, local communities and sports organisations. I was interested in what I understood was the Welsh Rugby Union’s (WRU) involvement in the campaign of boycotting all activities related to South Africa and urging South Africa to be banned from international sporting events. This is how I became aware of a man who was a prominent AAM activist living here in Cardiff – Hanif Bhamjee. I met with Mr Bhamjee and asked him about his role and activities within the movement and also about the WRU’s contribution to the AAM. What Mr Bhamjee told me contradicted my understanding of what happened. During our interview he told me about protests he was involved in when rugby teams from South Africa played in Wales. He said they picketed games, and in some cases smoke-bombed pitches. He told me that the teams began including 3 or 4 black players, to give what he says was the impression of being multi-racial. But he said the movement knew that generally these players were going back to South Africa to play in black teams, not the national team. Mr Bhamjee told me about discussions that took place between the WRU and the AAM, how in 1982 the WRU had decided it would no longer tour South Africa as an international team, but that rugby connections would continue between the two countries for a few years to come. I spent an hour with Mr Bhamjee, and he didn’t just talk about rugby. I was impressed by his own experiences in Wales as an anti-apartheid campaigner; experiences that had nothing to do with rugby. He told me that his early history in South Africa was important. He had been involved in the movement for a long time, and had met Nelson Mandela and others in the movement when he was 10 years old. Mr Bhamjee had then moved to Birmingham, UK, and became involved in the AAM there. He moved to Wales and was surprised that the movement only really existed in Cardiff; there were small groups in Swansea and Newport, but no Welsh organisation. He said it was painstaking work. “There was a lot of racism”, and that this was all over the UK. “There were signs in the windows” he said, saying, “no Blacks…no Irish. Room to let. But if a black man or an Asian guy went for it, it was suddenly gone.” He said that he and his colleagues had tested this theory with some white friends. He told me how the AAM in Wales grew, developing groups in Merthyr, Wrexham and Denbigh. By about 1989 they had 22 branches in 22 cities and towns. During the interview with Mr Bhamjee it emerged that a rebellious spirit grew in him; he viewed the AAM as something that left him out of the circle; he felt forgotten, which left him very disappointed. He felt that his efforts, time and dedication that he had offered were left unrewarded. He couldn’t afford to go back to South Africa to find a job in the country of his origin, which he had fought for, for more than half a century. I was also interested to know how Mr Bhamjee viewed the movement now, as active or passive. He told me that it was over, and that the movement was almost discontinued. I asked him about how he felt when Nelson Mandela walked out of prison with his fist in the air, if their expectations were too high? He told me that when Mandela and others were released from Robben Island they were saying the right things, but that as time went Bhamjee began to have reservations about progress being made. Mr Bhamjee went on to refer to another senior member of the Party and his unhappiness and dissatisfaction with the direction he took. I asked him: did you feel forgotten, after all you’ve done for the AAM, all the links you had with the ANC (African National Congress, a political party)? Now you go back home looking for a job, you couldn’t find one. Were you disappointed? It was an interesting meeting and interview with Mr Bhamjee. I am happy I met with him, learning about his experiences and thoughts about the AAM, past and present. These are Mr Bhamjee’s opinions and his perspective on events as he witnessed them. As I reflected on my time spent with Mr Bhamjee – and how I had my preconceived ideas corrected – I understood that there was much more discussion, research and debate to be held. Perhaps someone reading this will be among those who contribute. Any readers who have ideas or information not discussed here are welcome to contribute to further debate on the AAM. On the 21st November 2016, the WCIA, in partnership with Centre for Law and Society/ Law and Global Justice Programme, Cardiff University, held the fifth annual law lecture by Professor James Thuo Gathii at the Temple of Peace in Cardiff. John Harrington, the chairman of the Board of Justice for the WCIA, chaired the event. He introduced the speaker and the discussant, Celine Tan. Overall, the event was insightful and gave the audience a range of solutions to think about in terms of global trade. Professor Gathii began by defining deindustrialization as the movement of workers from industry and then went on to give a brief context. He stated that Africa’s economy has been growing, but this has brought deindustrialization. In the 1970s, the governments had policies focusing on agriculture, but wanted to be like the West so produced industrialised economies, with structural adjustment programmes set up to reduce the role of the state in the economy. In 1990, the World Bank and the IMF drove for reform which the speaker says had a debilitating effect on industries. For example, in Senegal, the manufacturing and processing of sugar decreased in the past 20 years. Next, Gathii highlighted the problems behind deindustrialization. He said that bad economic governments contributed. Many governments are corrupt, as well as the fact that the African elite have been able to source products, that can be made in Africa, outside of the continent at the expense of local producers. He then went on to use the supply of palm oil to reinforce his point. He then went on to talk about the phenomenon of consumption cities where workers are moving from manufacturing as there is less work. This is exacerbated by the lack of sustainable effort to create work in industry, and thus the problem grows. This seems to be a valid problem in these countries which in turn create a variety of different problems, particularly to local businesses. The speaker continued by proposing solutions which he referred to as ‘big ideas.’ Firstly, he suggested making technology transfers a key component of the trade system, for example with Japan and China. Emphasis was placed on Africa’s need to go for innovation seeking investments and utilise other countries’ need for resources. He also gave importance to the fact that the availability of these contracts allows the transfer of knowledge between countries. I think that this is important as it allows for African countries to develop which will hopefully enhance their position within trade. Gathii stated that there is a lot of potential in this idea as exemplified in South Korea doing business with Britain over the manufacturing of rail cars. Countries can gain leverage in order to get what they want instead of just selling off resources. In his belief, African countries have the capacity to do this. This idea is a good one as it encourages African countries to be more assertive in trade which appeared to be one of the main themes in the talk, but it is also interactive for Western countries as they will participate in this trade. The next proposed solution was improved regional trade among African countries. This is perhaps one of the strongest solutions as it promotes self-sufficiency in Africa. Gathii expressed that there is currently an unequal system in international trade as the ways trading rules are interpreted are consistent with bias because big countries will make sure that their view prevails. This solution is within Africa itself, so does not address part of the talk which askes what we can do about it, but despite this, it is still a strong solution. The speaker gave the shocking statistic that inter-African trade is only 9% of their overall trade, with Africa importing $35 billion worth of food each year. What is worse, according to Gathii, is that it is the sort of food that Africa grows! He went on to say that famines in African countries were because of no trade, not because of lack of food. This stresses the importance of inter-African trade. He stated that commitments to reduce the trade barriers are all there. If there have been things put in place for this solution then there is no reason why it should not be successful. A member of the audience from Cardiff University asked how we could focus on south-south cooperation to reduce dependence on the western world. In response, Gathii expressed that southern countries were doing a bad job of trading with themselves. In order to improve this we could make evident these blind spots as there is a possibility to build a vibrant market in rural Africa with the right policies. How we could make them see the blind spots was not made clear, however the speaker is right in the fact that good policy making will help to boost trade. Third, Gathii suggests productivity enhancing initiatives, which could be done without the other two proposals. He goes on to recommend basic processing of natural produce and simple but critical farming technology. All of this centres on product development, but also ensures that the changes are realistic and work for regionalists. Whilst this proposal is the simplest of all the solutions, it is a positive that it can work independently of the others given, and may also be the most realistic recommendation. Overall, the proposals made by Professor Gathii were good as they would be effective if carried out properly. However, the emphasis is not on what the West can do about it. Yet, I do not think that is a bad thing, as a lot of discussions have the tendency to be too focussed on the West, which can sometimes mean that the issue at hand can get forgotten. So I think the fact that the main subjects are the African countries strengthens the proposals given by the speaker, but also gives a more innovative perspective to these solutions. The discussant, Celine Tan, then analysed the proposals made by Professor Gathii, stating that they were excellent. This I totally agree with. She took on an Asian perspective as a child of Malaysian industrialisation. She spoke of the lack of regulation which made industrialisation problematic in Malaysia, however despite this it is undeniable that industrialisation was the driver in the country’s economic growth. The discussant claimed that in Africa, external factors are constraining the continent’s industrial development, and expressed that Gathii was too generous to the external sources. The main question surrounding Tan’s talk was how much of Gathii’s proposals does he think is achievable? Particularly in terms of current constraints. She went on to say that external factors were not barriers to other countries such as Malaysia, particularly that they did not have pressures from external places to get funds. Malaysia’s transition from agriculture to industry was gradual because they had the policy space to do so. However, according to Tan, African countries have lost their autonomy of the constraints, whereas Malaysia maintains their scope for determining what to do with their economy. I think this highlights one of the key constraints on Africa which is unique to them, and emphasizes that as a continent they need to try and address these limits. Also, bringing in a different perspective on industrialisation made for a really effective comparison, so that the audience could see the realistic limits on African countries. Tan highlights three key issues that Gathii’s proposals may encounter. Firstly, there is the issue of Africa’s dependence on external finance, as some of the speakers’ proposals were predicated on public finance. But where is this finance going to come from? I think that this is a really crucial question to ask, as how can we see any of these solutions put into place if there is nothing to fund them. Secondly, there is a question of international regulation as it hinders the finance available. She stated that multi-national firms threaten countries’ revenue. This is the downside to processes with foreign investors as how can we ensure that African countries keep onto the revenue. Again, I think that this is a point worth addressing as there is a risk of exploitation here. In the Q&A session after the talks, a representative from Fair Trade Wales asked what the solutions can be provided to support farmers and ensure that they have a choice a choice on a global scale. Gathii responded by saying that we shouldn’t leave things the way they are if they are corrupt. Investment programmes are the solution. The speaker acknowledged the limits as inevitable, but everyone says that this is the right thing to do. On basic necessities trade could be improved, but the time scales need to be more visible. There are interesting policies already existing. He went on to express that if trade does not benefit the people then there is no point. Western ideas do not truly know about African issues, so aid is not going to help as much as trade. I think this makes a good point in that instead of the West attempting to help, we should be taking a step back and let Africa retain control of their own policies so that they have more influence in trade as Africa knows what will benefit them the most. Lastly, Tan emphasised the constraints of investment rules in global trade. These trade rules mean that countries like the UK generate value from raw materials. Additionally, the discussant also highlighted the constraints that treaties bring to African countries, such limits are not faced by countries in south-east Asia. She continued by saying that the rules are so stacked against African countries, it is doubtful as to whether the proposals given by Gathii will work. This is point is very valid as it shows the problems as exclusive to African countries, which only emphasizes the problems of trade in these countries. It is also an important aspect to consider when asking whether the proposals would realistically work. Ms Tan concluded by saying that a more holistic outlook was needed. Overall, her rebuttals to Professor Gathii’s proposals were all persuasive and acted for a good academic discussion. These proposals appear to be an ideal, but more thought needs to go into how these could be developed in practice, linking to the context of the current situation in African countries. Gathii then summarised his stance, addressing the points made by Tan. In terms of the last point, he stated that the discussant was right in that there were huge barriers imposed by the West that prevent many of his proposals. He claimed that this problem was escalated by the fact that African countries fail to negotiate and end up settling with deals that do not benefit them. This is reinforced by the point that the Southern African Customs Union is the only region to reject a template for trade. He continued by stating that the systems often favour developed countries and that he wishes that African leaders were more proactive in deciding not to participate in trade with challenging affluent countries. In the Q&A session, a practicing lawyer in the audience questioned the retaliation system in terms of compensation. Gathii responded with the statement that the treaties are a reflection of interests of the people who wrote them which is unfair as it is favour of developed countries. Developing countries as a collective have the opportunity to take trade into a different direction. This, again focuses on what Africa can do rather than how the West can contribute. Yet the point made that African countries should take power into their own hands is still a strong one and promotes self-sufficiency. John Harrington concluded with the idea of ‘aid vs trade.’ The current Secretary of State suggested that we should increase aid to promote trade, but this is only to improve British trade. From a Welsh context, Wales is to act in a globally responsible manner. This is a strong conclusion as to be responsible and aware of how are actions affect other countries in terms of global trade is significant in order to ensure that we do not hinder Africa’s development by rigid rules and bias policies. So, a sense of being conscious about the problems of non-western countries is one of the most important things that we can do in order to improve industry in Africa. UKIP were invited to participate but did not submit responses to the questions by the deadline. Q3. Despite international development not being a devolved issue, how important is it that Wales plays an active role in overseas aid? What measures should the new Assembly put in place to support this work? Disparities in wealth between the global north and south are growing, with wars and climate change leading to ongoing crises that the Welsh Assembly must play a part in solving. A Plaid Cymru Government will continue to press the UK Government to honour the commitment to delivering 0.7% of GDP as international aid. However, it is clear that the way aid is delivered currently is not effective enough, as many countries have seen people becoming poorer and growth stagnating, despite huge levels of international aid. This is why we have long campaigned for the cancellation of developing countries’ unaffordable debts, as developing countries are still struggling with unaffordable debts. Plaid Cymru has also supported the idea of a ‘Tobin Tax’ or a ‘Robin Hood Tax’ since the 1980s, the revenues of which could play a valuable role in promoting international development, and could contribute towards realising the UN’s Millennium Development Goals. We must also play our part in supporting those who live in poverty around the world. Billions of people live in unsanitary conditions, are malnourished, or are without a stable education. In Westminster, Liberal Democrats were responsible for ensuring the UK meets the UN target of pledging 0.7% of GDP towards foreign aid, and enshrined this in law. Wales should play our role in international development, building genuine partnerships with the developing world, involving marginalised groups in Wales, supporting cultural exchanges, and helping people out of poverty. We will cement Wales’ position as a globally responsible nation. 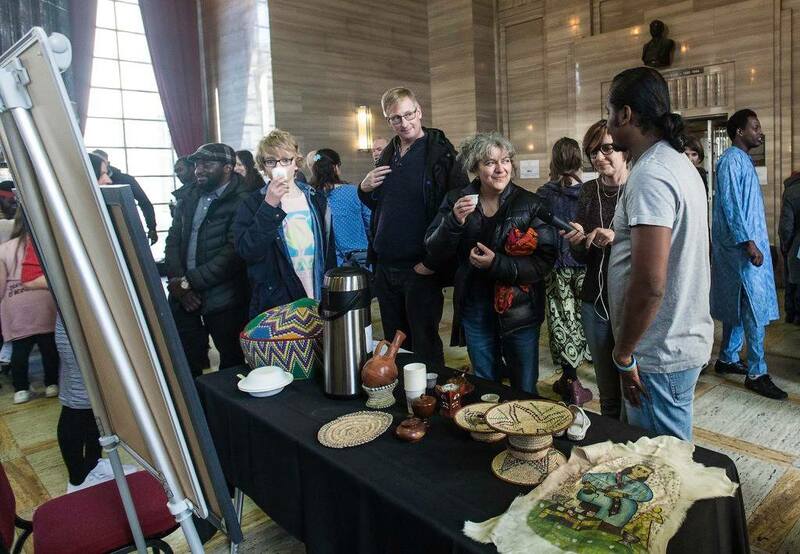 We would double Welsh Government funding for International Development and ensure Wales’s international public procurement is socially just, focusing on products which support people in poverty (such as Fairtrade goods) and discouraging purchase of things which make poverty worse (such as conflict minerals or unsustainable timber). 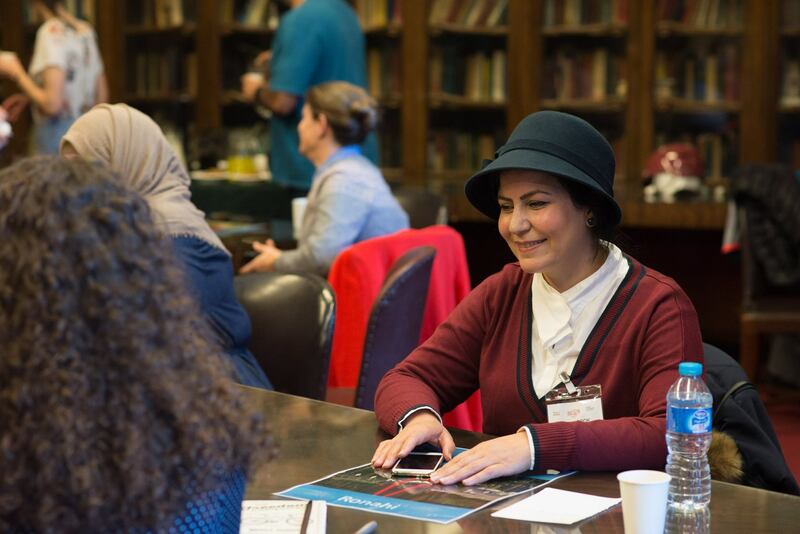 Encouraging the twinning of Welsh communities and schools with those in the global South helps build relationships and understanding, and can help facilitate campaigning in solidarity with activists, community organisations and social movements in the global South. Ultimately, the best thing we can do to help those in the global South – rather than offering aid to deal with poverty – is to remove the structural barriers to their own development – namely challenge the power of large transnational corporations and reforming global trade. We will continue to support the Wales for Africa programme as a sign of our continuing commitment to international development. There are many measures that can be made to make our small country have a big impact overseas and we should do all we can to support others across the world to help end poverty. A Welsh Conservative government will play its role and make its own contribution to addressing the millennium development goals and supporting other who are less fortunate across the globe. For example, we will continue the Wales for Africa programme. 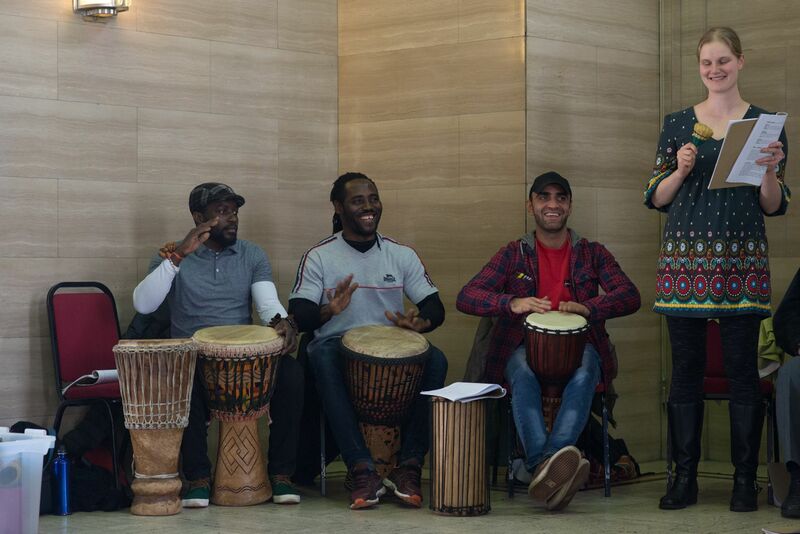 This innovative scheme brings together closer ties with Wales and developing Africa, promoting sustainable development, builds the capacity of NGOs and aid-coordination and supports the work of diaspora communities in Wales. Join the discussion on Facebook and Twitter. Rhoddwyd gwahoddiad i UKIP gymryd rhan ond ni dderbyniwyd ymatebion i’r cwestiynau erbyn y dyddiad cau. C3. Er nad yw datblygiad rhyngwladol yn fater datganoledig, pa mor bwysig yw hi fod Cymru yn chwarae rhan weithredol mewn cymorth dramor? Pa fesurau a ddylai’r Cynulliad newydd eu rhoi ar waith i gefnogi’r gwaith hwn? Mae’r gwahaniaethau mewn cyfoeth rhwng gogledd a de’r byd yn tyfu, gyda rhyfeloedd a newid hinsawdd yn arwain at argyfyngau parhaus y mae’n rhaid i Lywodraeth Cymru chwarae ei ran mewn perthynas â’u datrys. Bydd Llywodraeth Plaid Cymru yn parhau i roi pwysau ar Lywodraeth y DU i barchu’r ymrwymiad o gyflawni 0.7% o GDP fel cymorth rhyngwladol. Fodd bynnag, mae’n glir nad yw’r ffordd mae cymorth yn cael ei gyflawni ar hyn o bryd yn ddigon effeithiol, gan fod nifer o wledydd wedi gweld pobl yn mynd yn dlotach a thwf yn rhewi, er gwaethaf lefelau anferth o gymorth rhyngwladol. Dyma pam ein bod wedi ymgyrchu am amser hir i ddileu dyledion anfforddiadwy gwledydd sy’n datblygu, gan fod gwledydd sy’n datblygu yn parhau i frwydro gyda dyledion anfforddiadwy. Mae Plaid Cymru hefyd wedi cefnogi’r syniad o ‘Dreth Tobin’ neu ‘Dreth Robin Hood’ ers yr 1980au. Gallai’r refeniw hyn chwarae rôl werthfawr o ran hyrwyddo datblygiad rhyngwladol, a gallai gyfrannu at wireddu Nodau Datblygu’r Mileniwm y DU. Mae’n rhaid i ni hefyd chwarae ein rhan wrth gefnogi’r rhai sy’n byw mewn tlodi o amgylch y byd. Mae biliynau o bobl yn byw mewn amodau budr, yn dioddef o ddiffyg maeth, neu heb addysg sefydlog. Yn San Steffan, roedd y Democratiaid Rhyddfrydol yn gyfrifol am sicrhau fod y DU yn diwallu targed yr UD o roi 0.7% o GDP tuag at gymorth tramor, a chynnwys hwn mewn cyfraith. Dylai Cymru chwarae ein rôl o ran datblygu ryngwladol, adeiladu partneriaethau diffuant yng Nghymru, cefnogi trafodaethau diwylliannol, a helpu pobl allan o dlodi. Byddwn yn cadarnhau safle Cymru fel cenedl gyfrifol yn fyd-eang. Byddem yn dyblu cyllid Llywodraeth Cymru ar gyfer Datblygiad Rhyngwladol ac yn sicrhau fod caffaeliad cyhoeddus rhyngwladol Cymru yn gymdeithasol gyfiawn, gan gefnogi pobl mewn tlodi (fel nwyddau Masnach Deg) a pheidio â chefnogi prynu pethau sy’n gwneud tlodi’n waeth (fel mwynau gwrthdaro neu bren anghynaladwy). Mae annog gefeillio cymunedau ac ysgolion Cymraeg gyda’r rhai yn y De byd-eang yn helpu i adeiladu perthnasau a dealltwriaeth, a gallai hwyluso ymgyrchu mewn undod gyda gweithredwyr, sefydliadau cymunedol a mudiadau cymdeithasol yn y De byd-eang. Yn y pen draw, y peth gorau y gallwn ei wneud i helpu’r rhai yn y De byd-eang – yn hytrach na chynnig cymorth i ddelio gyda thlodi – yw tynnu’r rhwystrau strwythurol i’w datblygiad ei hunain – yn bennaf herio pŵer cydweithrediadau amlwladol mawr a diwygio masnach fyd-eang..
Byddwn yn parhau i gefnogi’r rhaglen Cymru o blaid Affrica fel arwydd o’n hymrwymiad parhau i ddatblygiad rhyngwladol. Mae nifer o fesurau y gellir eu gwneud er mwyn gwneud i’n gwlad fach gael effaith fawr dramor a dylem wneud popeth y gallwn i gefnogi eraill ar draws y byd i’w helpu i roi terfyn ar dlodi. Bydd llywodraeth Geidwadol Gymreig yn chwarae ei rôl ac yn gwneud ei chyfraniad ei hun wrth fynd i’r afael â nodau datblygu’r mileniwm a chefnogi eraill sydd yn llai ffodus ar draws y byd. Er enghraifft, bydd yn parhau i gefnogi’r rhaglen Cymru o blaid Affrica. Mae’r cynllun arloesol hwn yn dwyn cysylltiadau agosach ynghyd gyda Chymru ac Affrica sy’n datblygu, gan hyrwyddo datblygiad cynaliadwy, adeiladu capasiti Cyrff Anllywodraethol a helpu gyda chydlynu a chefnogi gwaith cymunedau gwasgaredig yng Nghymru. Beth ydych chi’n feddwl o’r safbwyntiau hyn? Ymunwch â’r drafodaeth ar Facebook neu Twitter. Will Oxfam still be working in Africa in 2050? This was the opening question to Oxfam’s Chief Executive Mark Goldring at a roundtable discussion organised by the Welsh Centre for International Affairs on the 24th of February. Mark Goldring, the current CEO of Oxfam GB, had just returned from a visit to Ethiopia and offered an informative insight into the organisation’s current work on the continent. Referring to the devastating impacts of the current draught in Ethiopia, Mr. Goldring highlighted the necessity to recognise climate change as a major challenge faced by the developing world. He further spoke about conflict, unequal distribution of economic growth, and illicit money as major opponents to just development on the African continent. However, the Oxfam Chief Executive also emphasised that credit needs to be given to the advancements of African leaders. 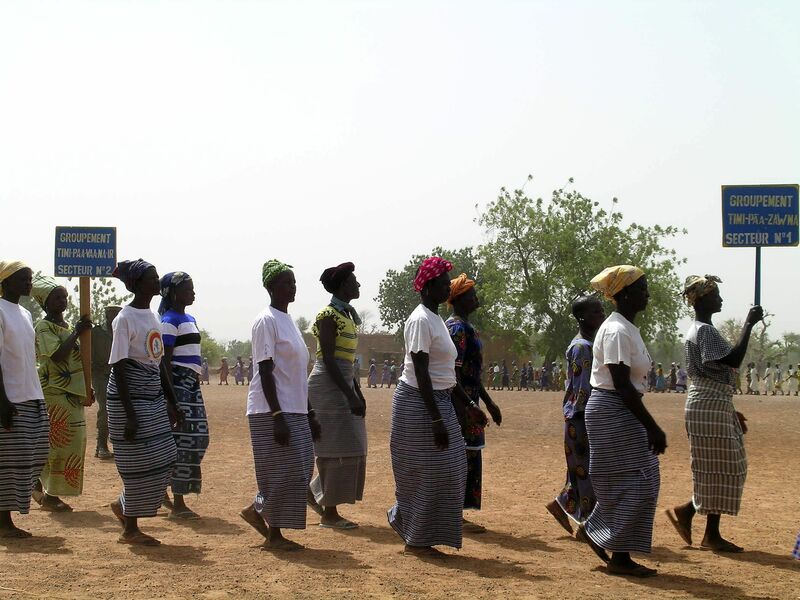 Positive examples of the improved conditions in many African nations do exist, such as the increase of democratically elected governments or the 2005 plea for the abolition of African debt and the increase in school enrolment thereafter. Ambreena Manji, a lecturer at the Law Department of Cardiff University, commented on her research area of land tenure as a core issue that is holding back a more equitable development agenda in many African states. She elaborated further on the disputes that arise from land allocation being dominated by commercial interested rather than public interest, and how the promotion of a legal framework was at the core of just economic development. Martha Musonza Holman, founder of the NGO Love Zimbabwe, spoke about current issues in her home country Zimbabwe, from which she had also just returned. She particularly emphasised the need to mobilise civil society both within the states, but also through the diaspora, to tackle corruption in the political leadership. As Zimbabwe is also currently suffering a draught, Martha pointed out the consequences of environmental change on the industrialised world that relies on food imports from African countries. As a teacher by training, she further endorsed the benefit and need for exchange programmes that allow African students to visit the United Kingdom. The initial roundtable was followed by a lively QA session. The audience, which seemingly was made up of people involved with human rights or development organisations in Africa, raised a number of relevant questions. The event captured well the various issues and diverging opinions how to solve them. What role does China have to play in African development? And what are the risks, what the opportunities of Chinese investment in the continent? How is Climate Change hindering development? How can we ensure adequate mitigation as well as adaption strategies? Is there hope that these strategies can be used to lead to not only more environmentally, but also sociably, sustainable economic growth? Arguably, these are some of the big questions that our world has to address, and for Africa these challenges will be of crucial importance in order to determine its way over the next 50 years. While there is undoubtedly a lot of work left to be done, allowing for a dialogue that focuses on the needs of the citizens will hopefully form the core of it. You can see a detailed transcript of the event here. Where do you draw line between terrorists and dictators? Saturday the 12th of March 2016 was a bright day with relatively mild temperatures in South Wales. In the evening, it looked as though many people were upset while others (probably few) were overjoyed following the Six Nations Match- particularly England Versus Wales. 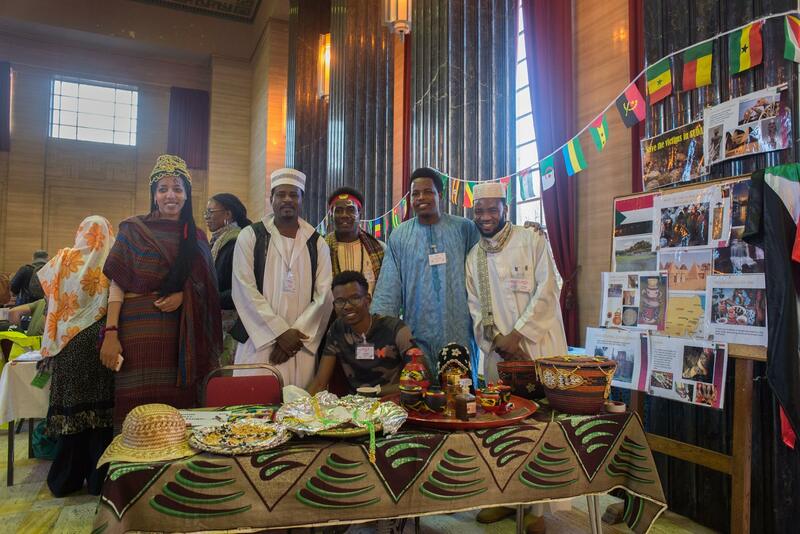 For those at the Oromo community meeting in Cardiff, however, the mood was entirely different. Every one of us was hit hard in the stomach with the brutality of the Ethiopian regime back home. Every one of us was mourning deaths of close friends or family members killed by the Ethiopian soldiers at peaceful demonstrations in Oromia. Unfortunately, the atrocities have continued and the regime has continued to enjoy the supports from the West including the UK and the USA. Almost all of us have only been in Wales for less than three years and ever since leaving home we have received regular accounts of killings, arbitrary arrests, deliberate starvation and inhumane or degrading treatments of innocent people at the hands of the Ethiopian government authorities in Oromia, as reported by Human Rights Organisations such as Amnesty International or Human Rights Watch. The situation has gotten worse recently as government soldiers have been firing live ammunitions at peaceful demonstrators demanding respect for basic human rights. Despite this, Ethiopia has remained one of arguably the largest aid recipients from the UK. It was against this background that members of the Oromo community in Wales held a meeting in Cardiff on 12/03/2016 to reaffirm our commitments to continue to stand against genocide and all other forms of human rights violations that the terrorist Ethiopian regime has perpetrated against the Oromo people. While we are grateful to the British and all other nations in Europe that have given sanctuary to thousands of Oromo people who have fled from persecution in Oromia, we are dejected by the continued atrocities committed against our people. We all feel deeply affected by the violation of basic human rights taking place in Oromia, our country, and would like to appeal to the British government and its EU counterparts to stop giving technical and financial supports to the Ethiopian terrorist regime that has murdered several thousand of Oromo children, youth, parents and grandparents in attempt to silence public demands for fundamental right, freedom and justice since 1991. Advancement of women in almost any aspect of the country is often linked to pages and pages of parliamentary statutes which effectively take women’s rights more seriously or thought-provoking speeches by female celebrities at the UN headquarters. While such movements are to be applauded, much of women’s march to total gender equality is actually made possible by the people behind the scenes, such as female office clerks who come into office to earn a living and female teachers who continue to do what they love to do even if their salaries are not much to be bragged about.